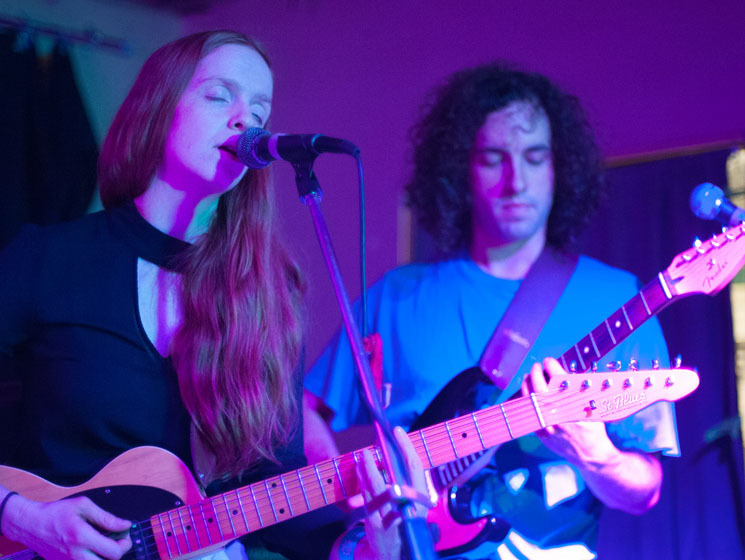 After an ambling, shambolic set from Renny Wilson and his band, the group switched gears to deliver an earnest set as Faith Healer — formerly the nom-de-plume of Edmonton-based singer-songwriter Jessica Jalbert. Having recently expanded into a full band upon the release of new album Try ;-), Jalbert, Wilson and company performed the new record in its entirety, deftly recreating its '70s pop throwback sound. But the band's latent troublemaker tendencies still managed to get the better of them for the set's final number: while Jalbert again performed to a backing track for "Best Saved 4 Last," the band began putting away their gear, the sonic equivalent of the credits rolling during the last scene of a TV show. It was an awkward, unfocused end to an otherwise captivating set.